Multiply your confidence with multiplication. Keep all those tricky times tables at the tip of your tongue! 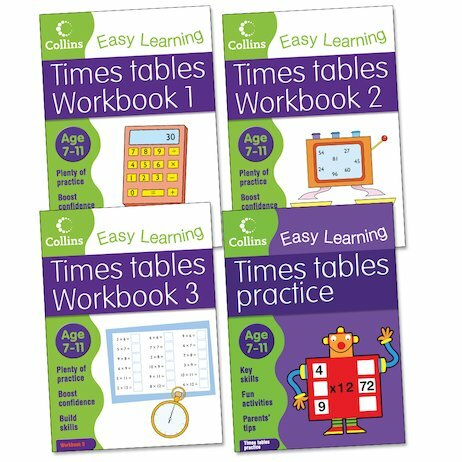 This fantastic pack helps you to build your times table knowledge quickly and painlessly, boosting your confidence and making sure you’re on top of what you need to know. Simple exercises help you to memorise each table using lots of tips and motivating puzzles. Then three books of activities and games ensure all this great knowledge stays stuck in your brain!